This past week there was much back patting and harrumphs of self-congratulation from the self-appointed cheerleaders of the North Atlantic Treaty Organization (NATO). The reason for this latest round of celebration is that the venerable old military alliance turned 70 on April 4. On that date in 1949, Canada along with the eleven other original members, signed a collective defence agreement aimed at deterring Soviet Union aggression into Western Europe. In the interest of full disclosure I volunteered to serve in the Canadian Military during the Cold War and I am proud to wear my NATO service medal on formal occasions. That said, the primary objective of NATO – the containment of the Soviets – was achieved in 1990 when the Soviet Union imploded through an economic collapse of the communist system. Despite this essentially bloodless victory over the collective nemesis, NATO not only continued to exist as a military alliance, it has also continued to steadily increase its membership. There are now 29 full-fledged member nations in NATO with a combined annual defence expenditure well in excess of $1 trillion (USD). To put this in perspective, the Putin regime of Russian aggressors spends around $68 billion annually on its defence forces, which is less than one-sixteenth of what NATO spends to defend itself. If we look at the NATO alliance’s track record, we certainly can list the Cold War in the ‘win’ column. 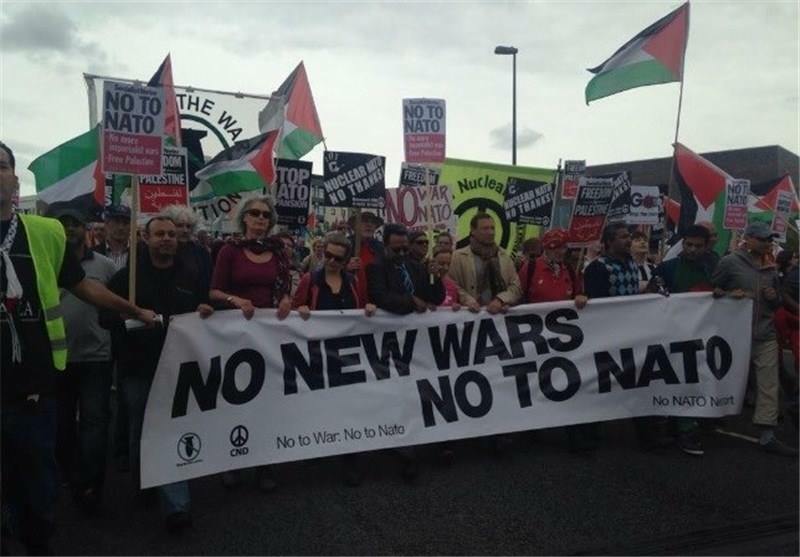 However, over the past seven decades NATO has had a less than stellar record as a purveyor of world peace. In 1956 there was the Suez Crisis wherein two NATO members – Britain and France invaded Egypt and pushed the world to the brink of nuclear Armageddon. The situation was defused by Canada – a third NATO member – when Prime Minister Lester Pearson created the concept of a United Nations Peacekeeping force. Turkey and Greece – both NATO members – clashed on the Island of Cyprus in 1974. That still simmering dispute remains a powder keg to this day with opposing forces separated and monitored by UN Peacekeeping troops. After the collapse of the Soviet Union, NATO felt confident enough to use its military might to redraw the map of Europe. In 1995, NATO used airstrikes to intervene in the bloody civil war in Bosnia. By bombing in support of Croatian and Bosnian Muslim forces, the Bosnian Serbs were forced to accept the Dayton Accord Peace proposal. NATO cheerleaders claim this to be a victorious campaign to end a war. Fair enough. However, then we had the 1999, 78-day NATO bombing campaign against Yugoslavia in support of Albanian separatists in the autonomous region of Kosovo. This military air-assault, followed by NATO’s occupation of Serbian sovereign territory, led to the 2008 unilateral declaration of independence of Kosovo. Despite the NATO leadership’s best intentions, to date Kosovo remains anything but independent. At present only 102 countries recognize Kosovo as a state with 93 still regarding this to be a Serbian province. As such, Kosovo cannot be admitted into the UN, or the European Union. It has the poorest economy in Europe, the highest rate of unemployment and not surprisingly the highest crime rate. The long suffering Serbian minority reside in enclaves protected by E.U. troops, and the massive U.S. military base known as Camp Bondsteel serves to house illegal combatants deemed to be enemies of American interests. In other words, the NATO bombing of Serbia did not produce a positive result. Far from it. The next major effort for the NATO alliance began in 2002 when the International Security Assistance Force (ISAF) was established to rebuild Afghanistan. Seventeen years later, the NATO led ISAF has yet to come close to fulfilling its objective. For twelve of those years, Canadian troops - some 30,000 in total – deployed as a party of ISAF to prop up the puppet regime, which the U.S. had installed in Kabul. In theatre, Canada lost 158 soldiers killed, 2,000 (+) wounded or physically injured, and countless others inflicted with the invisible wounds of PTSD. In a new report released earlier this month the U.S. Special Inspector General for Afghanistan (SIGAR) cites the NATO trained Afghan security forces as one of the major threats to achieving peace in that country. According to SIGAR, Afghanistan cannot afford to maintain the 300,000(+) soldiers currently on payroll. These armed individuals would pose a “serious threat to Afghanistan’s stability” should the international community stop funding their pay-cheques. Are we to seriously believe that after seventeen years committed to this conflict, no one at NATO saw this coming? In the case of Libya in 2011, NATO happily launched an air campaign to help the Libyan rebels oust Moammar Gadafi. Unlike Afghanistan, in the post-Gadafi celebrations, NATO never even bothered to install a puppet regime. Instead we simply let Libya collapse into a failed state, awash in violent anarchy. Presently Canada is leading a NATO training mission in Iraq. One of the oft-repeated quips as to why NATO in general and Canada in particular are taking on this task is because of the success we had in Afghanistan. Again, does nobody read the SIGAR reports? Ah well, NATO did win the Cold War. I’ll drink to that.